I’m only going to cover the details and history of Sprinter models that were actually sold in North America. If you want to read about the full history and Sprinter versions available in other markets I recommend reading the Wikipedia Article or the Wiki on Sprinter-Source. 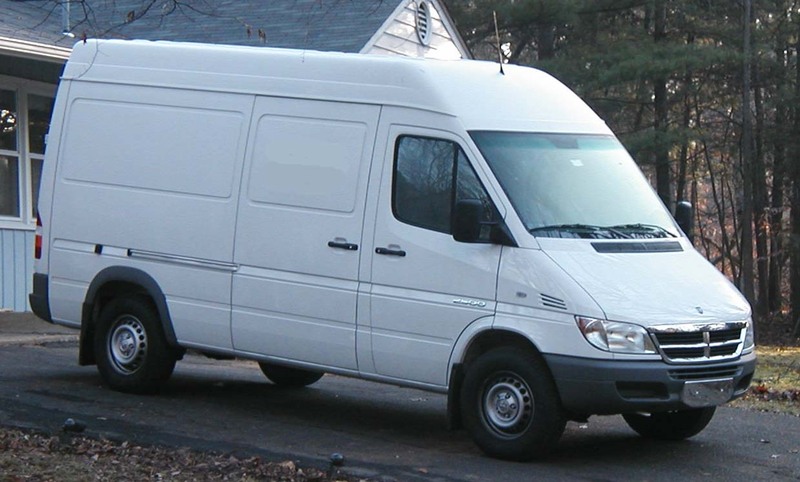 The first generation of Sprinter Vans hit the US market in 2001 (although the full 2001 production of Sprinter Cargo vans was purchased by FedEx). To avoid an import tax (the famous 25% chicken tax), the Vans – originally manufactured in Düsseldorf, Germany – were partially disassembled and shipped to Gaffney, South Carolina where they were reassembled. The Passenger versions are not subject to that tax and were imported as an assembled unit. Until 2003, the Sprinters for the North American market were sold under the Mercedes-Benz label. From 2003, they were branded as Dodge, as part of the Daimler-Chrysler partnership. 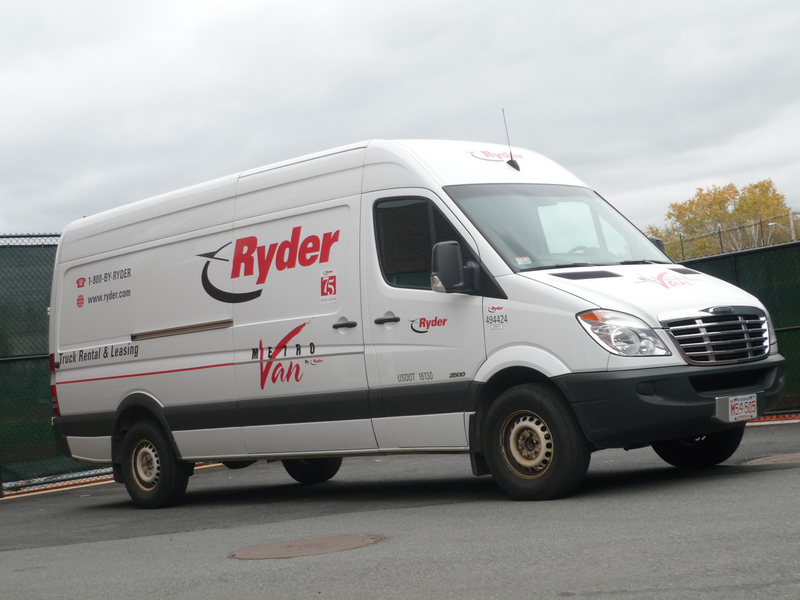 The same vans were available with a Freightliner branding from 2001 on. This generation of Sprinters was offered in the US with only one engine choice: a 2.7l turbo diesel (CDI) with 154 horse power. Until 2003 the engine code was OM612 and from 2004 until 2006 OM647. US customers also didn’t have a choice in transmissions. Sprinters of the first generation were only offered with a automatic 5 speed NAG1 transmission. In 2006 Mercedes introduced the second generation Sprinters (NCV3 – New Concept Van 3). North America saw the first NCV3’s in 2007. US buyers can purchase the second gen Sprinter in two wheelbase options only: 144″ or 170″. Mercedes also introduced two weight classes: 2500 and 3500 – the latter one sold with dual rear wheels (other markets had single rear wheel 3500’s). Until 2009 the US buyer had an engine choice: either the 3.0l turbo diesel CDI with 154 horse power (engine code OM642) or a 3.5l V6 gas engine with 254 horsepower. With the 2009 model year Mercedes stopped offering Sprinters with gas engines. Since 2010, Sprinters are only available branded as Mercedes-Benz or Freightliner. The Dodge branding was dropped in that year. Like the previous generation, the NCV3 cargo vans are reassembled in a plant in South Carolina while the passenger versions are imported directly from Germany. The NCV3’s are known for issues with rust – if you consider buying one make sure you check for any rust damage (repaired or visible). In 2013, Mercedes unveiled a face lift of the second generation Sprinters with a choice of two engines (2.1l 4 cylinder turbo diesel with a 7 speed automatic transmission or a 3.0l V6 turbo diesel with 5 speed automatic).